Contact CitiXsys support for details on Hardware and Software specifications for Inventory Pro version 6.6.5.0. You must install Crystal Reports 2008 Runtime with this version of Inventory Pro. Automatic Allocation – A new service has been included in Inventory Pro to automatically allocate item quantities periodically. A new setup screen has been included in the Inventory Pro add-on to configure parameters for Automatic Allocation. Label Printing from GRPO screen – A new button has been added to the GRPO screen in SAP Business One to enable the user to print item labels for item quantities received in the GRPO. Block user from changing allocation control on Sales Order – A new setting has been provided in the Inventory Pro > Document Setting to prevent the user from changing the allocation control on Sales Order. In this case the default allocation control defined in the Inventory Pro > Document Setting will always apply. Inventory Transfer Request – Inventory Transfer Request document included in SAP Business One 8.82 has been added to the Order Management process and RF Transactions. Using the RF Module the user can perform picking transactions against Inventory Transfer Requests and can also post Inventory Transfers based on Inventory Transfer Requests subsequent to the picking process. Picking Report for Independent Picking – Printing of Picking Report for Independent Picking has been enabled on the Picking Screen. Put-Away Transactions from RF Module – Put-Away transaction from RF Module has been extended for A/R Credit Memo, A/P Invoice, Return and Receipt from Production documents. Production Order transactions from RF Module – Issue from Production and Receipt from Production transactions have been incorporated in the RF Module. Customizable Report for Stock Take – With this version of Inventory Pro the Stock Take report can be customized. A sample report template has been included in the Sample Reports folder. Copy UDF values to Delivery Document – A new setting has been included in the Inventory Pro > Document Settings to enable copying of UDF values from Sales Order to Delivery document. Gross Profit in Marketing Documents – With this version of Inventory Pro the Gross Profit Base Price will be populated appropriately based on the SAP Business One > Document Settings and selected Item UOM. Quantity to Move – With this version of Inventory Pro the Quantity to Move column will be set to Zero after the row is moved to selected matrix. Service Type Marketing Documents – Due to an issue in the previous version of the Inventory Pro Add-on the system would prompt the user to enable the Unit Price column for Service type marking documents whereas this prompt should only display for Item type documents. This has been fixed in this release. Un-do picking for Production Orders – In some rare cases an un-do picking transaction could not be performed for Production Orders which were subsequently updated. This has been fixed in this release. Closing Locked Pick Tickets – Due to an issue in the previous version of the Inventory Pro add-on the user was able to close a pick ticket from Order Management screen which was locked by the RF User. This has been fixed in this release. Inventory Pro from CitiXsys enhances SAP Business One inventory features facilitating the easy management of inventory either paper based or RF. Designed for companies with light transactional inventory volumes that deal with multiple items, Inventory Pro comprises of four modules – Bin Locations, Available to Promise, Multiple Units of Measure and Allocation. iVend Implementation Webinar series successfully concluded earlier on Friday (20/04/12). The webinars were a resounding success with participation levels of over 90%. Spread over 5 sessions of 3 hours each, the series covered all the finer details of iVend Retail Implementation and gave the participants a complete view of the application set. Though scheduled for the APAC region, the webinar was attended by participants as west as Mexico. The sessions ranged from installation & configuration to suggestions on how best to implement iVend Retail in different business scenarios. The sessions were extremely informative and gave the implementation consultants an opportunity to discuss implementation related challenges in a LIVE session. The format of the webinars was such that the participants could interact with the organizer and panelists during the breaks between the sessions. The participants also interacted with a team of panelists on http://forum.citixsys.com to get detailed explanations to their queries. 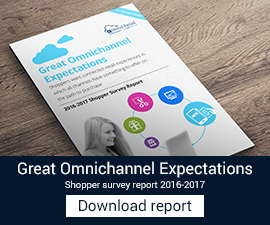 Not only were the features of iVend Retail discussed at length, the sessions also covered implementation scenarios where iVend Retail is being implemented in an already implemented SAP Business One OR is being implemented together. Also covered in the sessions were topics on how best to implement iVend Loyalty and other CitiXsys Line of Integrated Retail Solutions along with iVend Retail. The last session covered the accelerated implementation templates and other artifacts required in iVend Retail implementation. Emphasis was given to the process of handover from implementation to support so that the support team is fully aware of the application landscape when extending support to the customer. All the participants are now trained to undertake the implementation certification test on, Successful candidates will be awarded a framed certificate valid for 2 years. For the benefit of the partners who could not join the webinars due to differences in time zones, the recordings of these webinars will be uploaded on CitiXsys website in the next few days. We will keep you informed on when the recordings will be available. We once again thank the participants and the organizations they represent for making this a great success. We leave you with a promise to conduct these and such sessions more often in the coming future. Blanket Agreement – With this release user can now use the Item Matrix Catalog button to filter out the item that needs to be added on the blanket agreement document in SAP Business One 8.82. Inventory Transfer Request – With this release user can now use the Item Matrix Catalog button to filter out the item that needs to be added on the Inventory Transfer Request document in SAP Business One 8.82. This post outlines the enhancements / issues fixed in iCharge version 10.5.6. The Release Notes can be downloaded here. Compatible to SAP Business One 8.82 – Starting this release iCharge will now be compatible to SAP Business One 8.82 PL04 and above. Due to an issue in the previous release, in case of eWay payment gateway iCharge sends the amount in dollars instead of cents .This has been fixed in this release. Due to an issue in the previous release, if a customer has multiple credit cards attached to it wherein two or more cards have same last 4 digit number, iCharge could not display customer cards in payments means window. This has been fixed in this release. Due to an issue in the previous release, iCharge could not send Transaction No. of length less than 29 characters to Ogone Payment Gateway. This has been fixed in this release. Due to an issue in the previous release, voiding an authorized credit card at A/R Invoice, used to get delayed captured and hence double charging the card. This issue has been fixed in this release. Due to an issue in the previous release, online report for Paypal Payment Gateway generates runtime error. This has been fixed in this release. Due to an issue in the previous release, voucher number could not get updated in bank deposit which causes problem in reconciliation. This has been fixed in this release. Due to an issue in the previous release, any web orders uploaded to iCharge was not getting cancelled through iCharge. This has been fixed in this release. 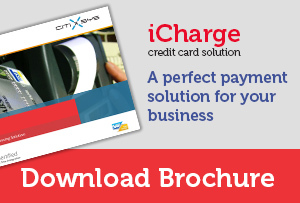 Certified by SAP & PCI, iCharge is a Credit Card Application that integrates SAP Business One with Payment Gateways globally. iCharge processes credit card information between sales transaction in SAP Business One and payment processor service that obtains authorization information needed to approve the transaction. For all sales transactions generated in SAP Business One, iCharge authorizes and settles payment in real time and integrates them back into SAP Business One. New York, NY, September 27, 2011: Two of the largest SAP Solutions Partners,CitiXsys Technologies and Boyum IT entered into an OEM relationship to bring innovation in SAP Business One market space. The benefits of this cooperation are obvious: CitiXsys will have access to B1UP technology, which makes a fusion of each other’s addons possible. CitiXsys partners and users can now use the B1UP to customize the CitiXsys addons, without relying on expensive development work. The B1UP will be restricted to 1 user for the version 4.x but with full functionality. The CitiXsys addons can be used for more users, but with limitations. “This OEM relationship emphasizes our commitment to the SAP Business One user community with the sole objective of making the mid-market companies more productive and effective. The complimentary nature of the applications bundled in B1AppSuite lets us (CitiXsys and Boyum IT) achieve our purpose. CitiXsys Technologies an SAP Gold Partner with over 4000 customers, has its vertical focus on Retail, Warehousing & Distribution. Boyum IT is a leading SAP Business One development and consulting company. B1UP significantly enhances the usability of SAP Business One, there by increasing the productivity of SAP Business One users. B1UP has today more than 21.000 active daily users. Upload Tool – Due to a bug in the previous release of item matrix, the add-on would disconnect during the upload process. This has been fixed in this release. Hiding Sales Related and Purchase Related Information in SKU screen: Due to a bug in the previous release of item matrix, while checking the Hide Purchase Related Data and Hide Sales Related Data check boxes, system hides purchase and sales related information, but the add-on does not record this settings and therefore on reopening the screen the Purchase and Sales Related data becomes visible again. This has been fixed in this release. Freezing of Item screen: Due to a bug in the previous release of item matrix, while resizing the screen the scroll bars freezes. This has been fixed in this release. Due to a bug in the previous release iCharge does not allow the user to create a delivery using Pick and Pack Manager. This has been fixed in this release. Due to a bug in the previous release, iCharge freezes the screen while creating invoice/delivery using invoice wizard. This has been fixed in this release. iCharge Setup Wizard – This release incorporates a setup wizard which will guide the user through the sequence of steps for configuring the solution. On-Line Help – This release incorporates screen sensitive help. Users can press CTRL+SHIFT+E to bring up the help for the active screen. New Release Notification – Whenever a new version of the product is released the system will display the update notification as a SAP Business One alert. Incoming Payments – Ability to select A/R Invoices and A/R Credit Memos when processing Incoming Payment for CC Type Documents. Invoice Wizard – This release will enable the user to additionally process non Credit Card Payment Type documents using the Invoice Wizard. Language Support – With this release of Inventory Pro the user will be able to select the desired language for the Inventory Pro add-on irrespective of the language set for SAP Business One. Put-Away / Picking – With this release of Inventory pro it is now possible to make the Picking / Put-Away process mandatory on adding the relevant marketing document. A new setting for this has been provided under the Inventory Pro – General Settings. SYS_BIN Transfer – In the previous release of the Inventory Pro Add-on, due to a missing validation, the stock quantities were not appropriately transferred to the SYS_BIN on updating the Warehouse as a Multi-Bin warehouse. This has been fixed in this release. Inventory Tracking Tool – In the previous release of the Inventory pro Add-on, Serial Numbers were not imported appropriately using the Inventory Tracking Tool. This has been fixed in this release. Stock Transfer Recommendation Tool – In the previous release of the Inventory Pro Add-on, if the customer code was populated in the excel template, the transfer recommendations could not be imported. This has been fixed in this release. Order Management – Document Details – In the previous release of the Inventory Pro Add-on, when a Draft Inventory Transfer document was created from the Picked Tab, the Document Details screen would display the wrong Draft Document on clicking the Golden Arrow. Issue for Production – Due to a bug in SAP Business One 8.81 PL07, the buttons on the Issue of Production screen would disappear when running the Inventory Pro Add-on. The Inventory Pro add-on code has been tweaked to overcome this SAP issue. Maintenance Release for Inventory Pro (ver 5.6.8.0) is released today for SAP Business One 2007. Mentioned below are the fixes included in this release. SYS_BIN Transfer – In the previous release of the Inventory Pro Add-on, due to negative stock in the warehouse, stock quantities were not appropriately transferred to the SYS_BIN on updating the Warehouse as a Multi-Bin warehouse. This has been fixed in this release. Rounding Error in Picking and Put-Away – In the previous release of the Inventory Pro Add-on, if the conversion factor for Sales or Purchase unit of measure is in two decimal places and the marketing document is created with decimal quantities, then the system would result in a rounding error leading to quantity mismatch between SAP warehouse quantity and Bin quantities. This has been fixed in this release. Partial Receipt in GRPO – In the previous release of the Inventory Pro Add-on, if a Purchase Order is partially received in a GRPO then the Inventory Pro add-on would lock the Purchase Order for subsequent receipts. This has been fixed in this release. Batch Sorting in Picking and Put-Away screens – In the previous release of the Inventory Pro Add-on, the Batch numbers were not appropriately sorted in the Picking and Put-Away screens. This has been fixed in this release. Bins Choose from List – In the previous release of the Inventory Pro Add-on, the Bins Choose from List would usually hang the system or had poor performance. This has been fixed in this release. Delivery creation by RF Integration Service – In the previous release of the Inventory Pro Add-on, the RF Integration service would only update the Delivery Document header if the Ship to Code in Sales Order Line level was NULL. This has been fixed in this release. Print Error in Picking Screen – In the previous release of the Inventory Pro Add-on, on clicking the Print button in the Picking screen would result in a form initiation error. This has been fixed in this release.